With the show’s end just a couple of years away, it’s time for Cartoon Network’s Adventure Time to start wrapping up some of its narrative threads. To that end, Cartoon Network has announced a miniseries event called Adventure Time: Islands that promises to finally solve the mystery of what happened to all of the world’s humans. 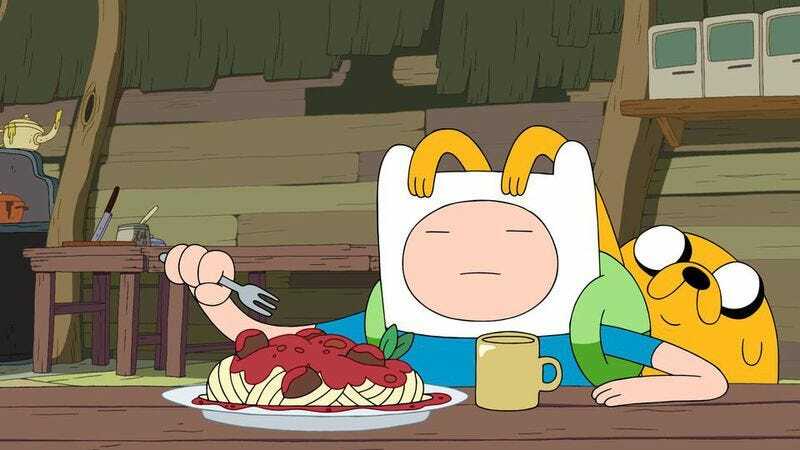 The eight-part series will also dig into Finn The Human’s past, with him and Jake, BMO, and Susan Strong leaving the Land Of Ooo to “embark on a quest of epic proportions across the ocean and into new lands.” That comes from Deadline, which adds that the gang will be “encountering new creatures, discovering new islands, and using teamwork along the way” as well.